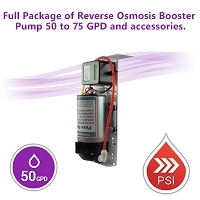 Home > Parts > Booster Pumps > Reverse Osmosis Booster Pump for 50 GPD up to 75 GPD. 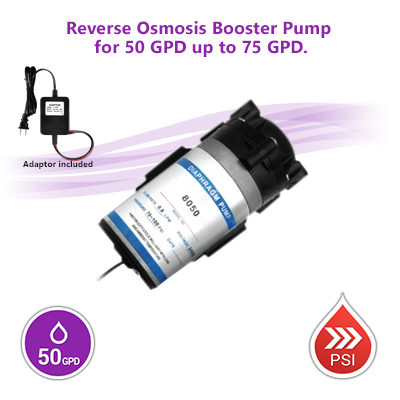 Reverse Osmosis Booster Pump for 50 GPD up to 75 GPD. 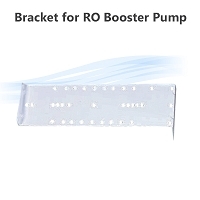 50 - 75 GPD booster pump is designed for membranes rated 50 GPD and up to 75 GPD. The motor if this boosters is Duty cycle will very with load and ambient temperature; smoother running; longer life; and work with high efficiencies never mind if its installed in warm, humid, hostile environment where other pumps cant operate in such hard environments. 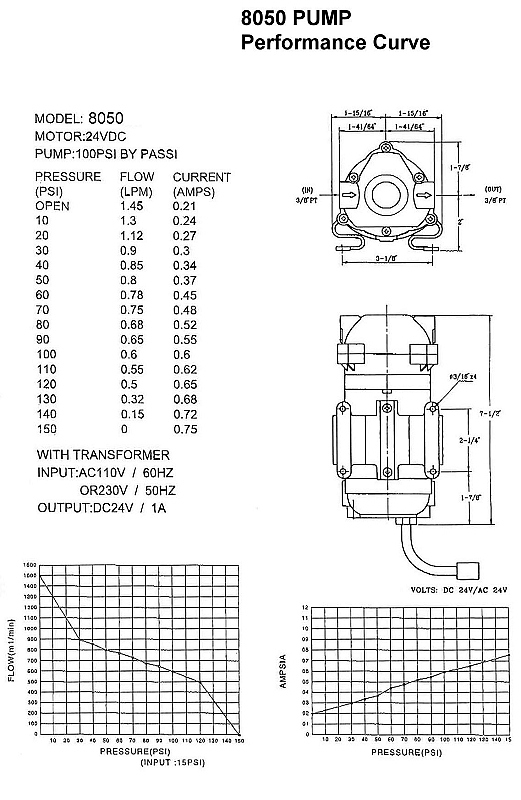 Product weight 4.5 LBS - Dimensions 8" X 4" X 4"
Replacement pump has been upgraded from the original and should be much better, metal housing and metal stand a definite improvement. Good support from technical people. Item came in quickly, hooks up real easy. Pump arrived mounted on a bracket with tall rubber feet so that when its installed the pump does not transfer vibration and is completely silent. 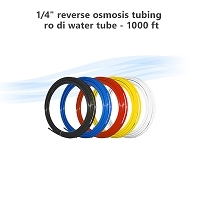 The water pressure in my apartment is horrible, but this unit has allowed my RO/DI filter to work at proper flow rates. 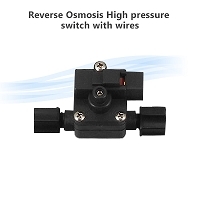 Ordered this Reverse Osmosis pump as unit i had was acting up and needed either rebuild or replacement. Local plumbing outfit quoted me triple the price for the same unit, pays to be patient and shop around for good quality, quick delivery time. 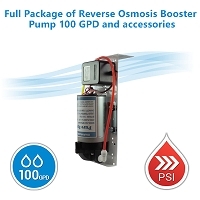 Full Package of Reverse Osmosis Booster Pump 50 to 75 GPD and accessories.